The main CBTA competitions for juniors begin with our Junior Development Competition. This is an opportunity for first time competition players to learn the basics of competition such as game structure, serving and scoring in a fun and friendly environment to ensure readiness to progress to Junior Competition and tournament play! 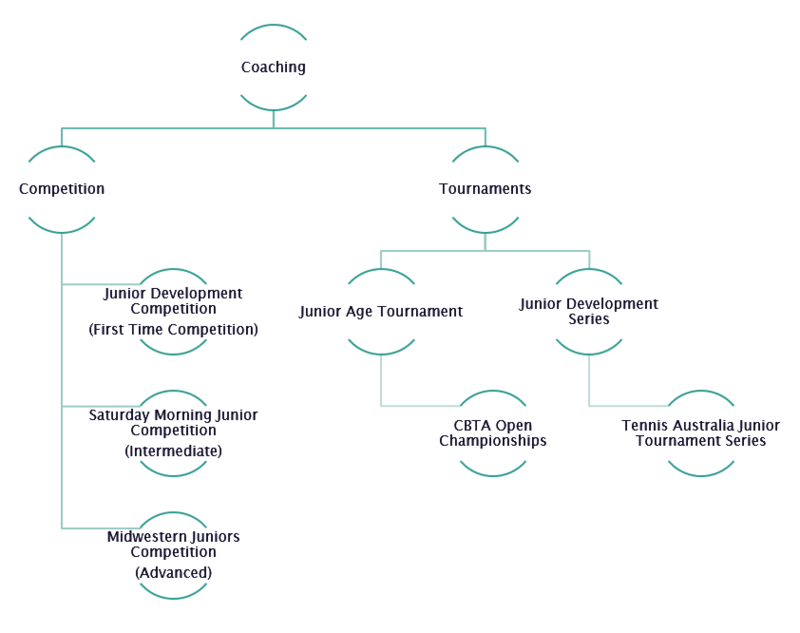 CBTA's main junior competition is our Saturday Morning Junior Competition, with multiple divisions based on ability (not age). Kids need to know the basics of playing tennis before entering competition and most would begin with group coaching before starting competition and your coach can advise when you are ready to progress! See below to find which competitions are suitable for you. If you'd like to join in one, or just get some more information, please fill in the enquiry box next to the competition you are interested in and email will be sent to the competition organiser. Standard: 8-19 years old - Grading based on ability. Have a look at our FAQ's and learn more about the competition and Instructions and rules for players. ​$100 voucher + $20 covers two school terms. Highlight: Pathway from coaching to competition, learn the structure of competition and scoring in a fun, social environment! ​Parents! 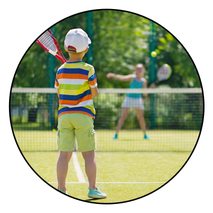 If your child has started to learn tennis and likes it, you might want to know what is available for future development. Tennis NSW is the governing body of tennis in our state.